Teaching yoga is one of the hardest jobs that you can ever imagine. It pays little, the hours are long, and students can be demanding. But I LOVE it! I love being a yoga teacher. 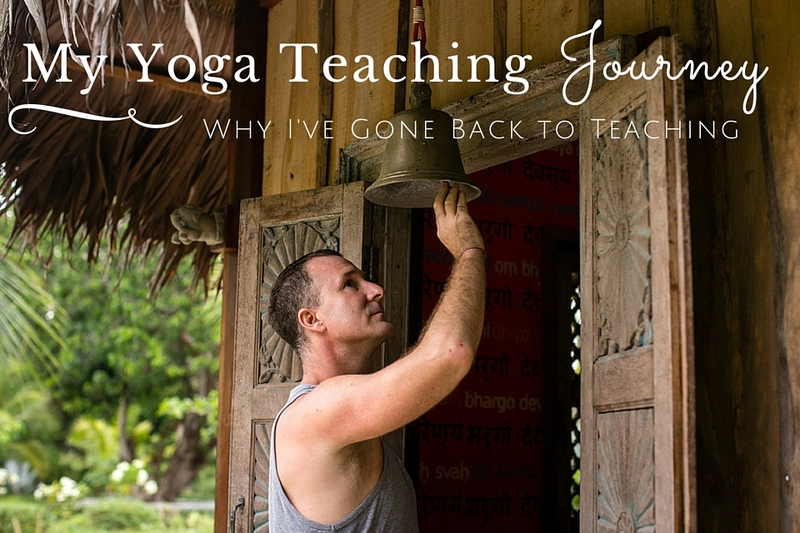 After some debate, I’ve decided to share my yoga teaching journey with all of you. To show that each process is different. That sometimes, we need to pause and reflect before charging ahead. And yet other times, we just need to take the plunge. I have been a yoga teacher since 1997. I was a yoga teacher before there were, well, certified yoga teachers. I was one of the early pioneers of the movement who shared the practice with anyone who wanted to stretch into what was possible and remove the inflictions of their life. In 2001, by some leap of faith and fate, I ended up in New York City. My goal was to develop a small following of students to focus on my own practice and take a lot of classes. Instead, I developed an international following. This following led to many years of travel and trailblazing across the globe. What a blessing it has been to have had the privilege to teach people from all over the world. I have taught people from different cultures, backgrounds and ethnicities. Every single one of these people is looking for the same thing. The meaning a yoga teacher can cultivate in other people’s lives is all-encompassing and devouring of their attention and time. In every yoga teacher’s teaching life, there are profound moments. In these moments, a teacher can visibly see the lights turn on in people’s eyes. A world of infinite possibility opens up for people when the lights turn on. For that one, albeit a very brief moment, they get it. They get what is possible. They taste that river of infinite love and courage within themselves. In that brief moment, they know they have an indomitable will to create and birth into existence the purpose of their lives. Being a teacher has allowed me the space to grow and learn as a practitioner. Like any teacher, my style of yoga has changed. I used to be a die-hard Ashtangi who could never sit still. Now steadiness and joy are at the center of what I teach and help students to cultivate. And for a time, I walked away from it all. 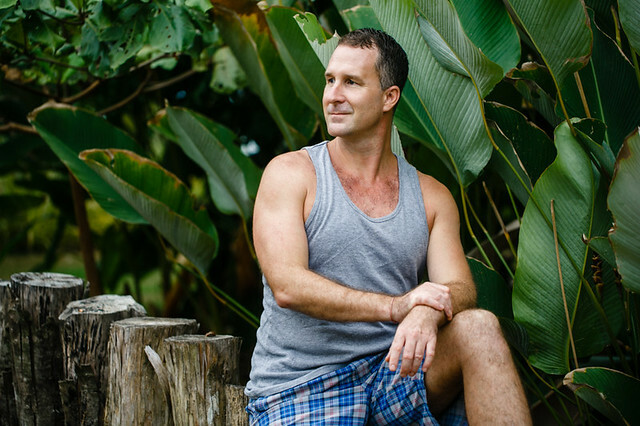 In 2007, a short ten years after I started teaching, I made the decision to start a yoga community in Costa Rica. I craved community. My heart was telling me to create a place where people could come and “rest” for any given amount of time. If the light of possibility could ignite after one class, imagine what would happen after a week of consistent yoga practice. At the end of January in 2010, the dream was realized and Blue Osa opened her doors to her first guests. I ended up walking away from a thriving yoga business to become the steward of Blue Osa. On November 14, 2010, I closed the doors of my New York studio, walked out and never looked back again. I walked away from being a regular teacher, and more, the leader of a yoga community that spanned continents. I was a trailblazer who had made a huge turn veering off into uncharted territory. Developing Blue Osa took all my energy, time, and creative energy. Starting from nothing, we have built a beautiful community of yogis inspired to not only cultivate their own practice but to take their practice into the world. I hung up my teacher’s hat so that I could minister a different kind of community. I became a steward to those who served in the community. I was a leader in our management team. 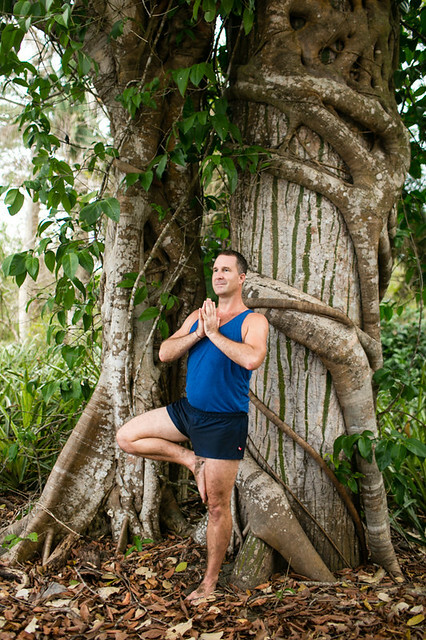 I was a supportive visionary to other yoga teachers who brought their yoga groups. Now, at the beginning of 2016, I am being called back to the work and realize Yogi Aaron has something to say. I am not sure exactly when this calling began, or what moment the inspiration came. Perhaps it was on the release of my book, “Autobiography Of A Naked Yogi”. Perhaps the state of the world is calling me to action. I can no longer hide out in my Costa Rican sanctuary. I am no longer the tortoise who draws within. I am following Krishna’s charge to become the ocean. I believe we all have a task to fulfill. That task is one of action. Contrary to popular belief, Yoga is not the path of passivity. Yoga is the path of activism and action. The Gita charges us with the task of fulfilling our duty. As yogis, it is our duty and role to step into the role of leadership. It is our duty take the initiative: to create and engender the kind of world that supports each person to fulfill the ultimate goal of life. Too often we see in the yoga community people climbing to the top. From the outside, it almost seems that their goal is only to be renowned. When you get closer, you can start to see that the only thing they have really achieved is the stardom. 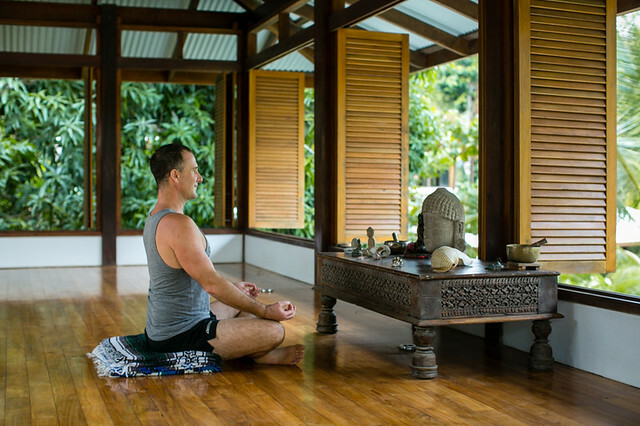 The knowledge many seeming yoga teachers possess is superficial at best. As yogis, we either have to demand that our teachers and gurus step up to the task of imparting the wisdom of the sages, or find those teachers who do. But for leaders to really lead, we have to be ready and willing to embark on a path of self-discovery and perpetual life learning. In the last six years, I have been on that path of self-discovery and lifelong learning. This time has not only allowed me to grow and expand my own capacity but to also grow in the caldron of tapas from my yoga practice. I believe that we are at such an important juncture in humanity. We have the capacity for such greatness. Science is making exponential leaps. But our spiritual growth is not keeping up with it. We are becoming masters of the outside world but have little knowledge of our inner world. My goal as a teacher of life is to impassion others to this journey of self-discovery. My hope is that everyone can find all the tools they need to reveal life’s most sacred mysteries within themselves. My hope is that we all may step into our life purpose so that we may create a world with vision and hope.My goal as a teacher is to empower those who are ready and willing. I love being a teacher, and more, I love to see the light of personal empowerment ignite in others. I feel deeply honored to expand the stewardship to others. These words by George Bernard Shaw stay with me always. 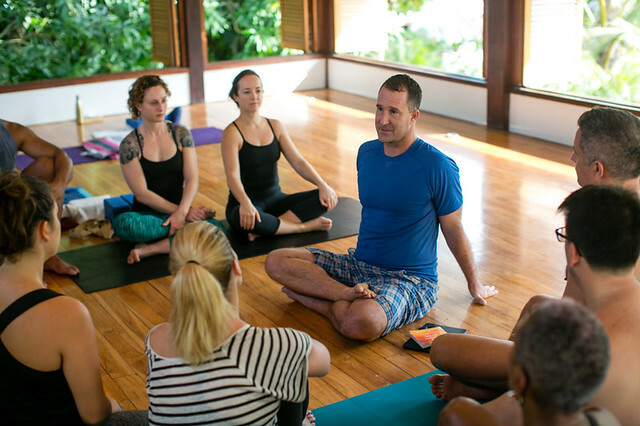 As a first step towards reviving my teaching, I am hosting more One-Month Immersions Yoga Teacher Trainings at Blue Osa. I am beyond excited about it! This is a time to really avail ourselves to these practices and become firmly established on where the true source of happiness lies.